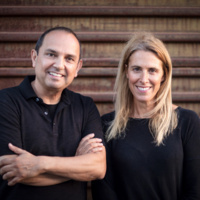 Teddy Cruz and Fonna Forman are principals in Estudio Teddy Cruz + Fonna Forman, a research-based political and architectural practice investigating issues of informal urbanization, civic infrastructure and public culture, with a special emphasis on Latin American cities. Blurring conventional boundaries between theory and practice, Cruz and Forman lead a variety of urban research agendas and civic/public interventions in the San Diego-Tijuana border region and beyond. They founded the UCSD Cross-Border Initiative, a platform for engaged research and teaching on poverty and social equity in the border region.